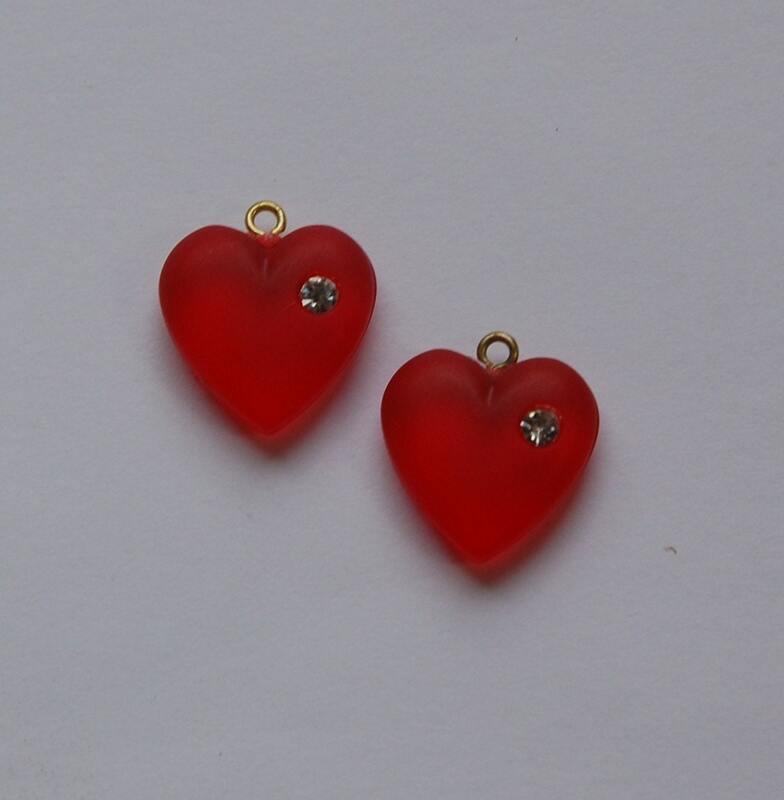 These are vintage frosted or matte red lucite heart charms that were made in Germany. They have an inset clear rhinestone. The stone is clear, not yellowing. 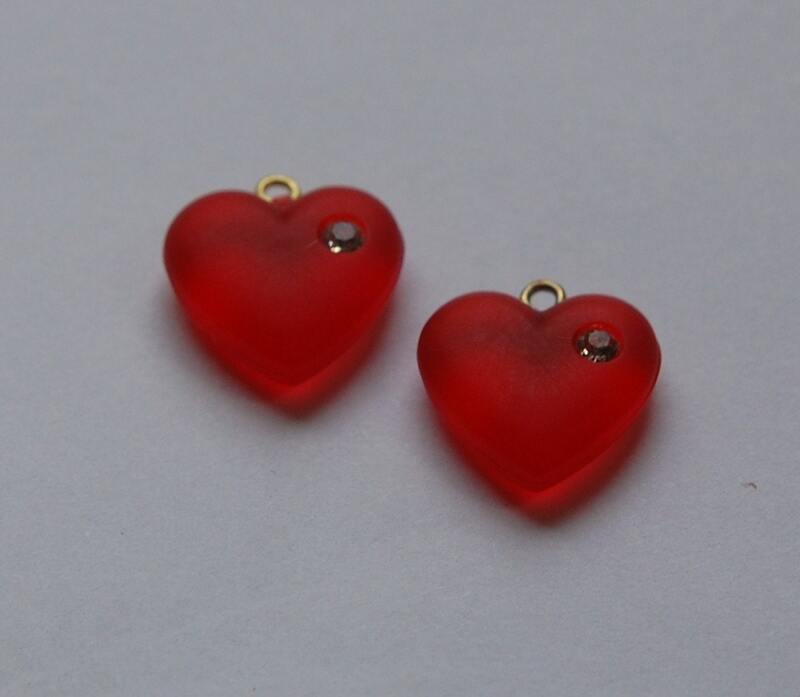 These measure 16mm long with loop x 15mm wide. You will receive 2 of these. Item as described, fast delivery. Very happy. Really Nice Charms - Thanks! Really Nice! I Love these!